Back in March, I wrote about New Morning “I will NOT be listening to “If Dogs Run Free” again” because it is, simply but, a goddawful song. So imagine my surprise, listening to the bootleg compilation Dropping Songs Down Into Our Ears (highlights from the late-2000 tour of Europe, with a focus on the UK) to hear that song at the end of the first CD. Dylan first played “If Dogs Run Free” live in Munster, Germany on October 1, 2000, and that is the version on the bootleg. The crowd cheers the first lines out of recognition and/or shock and/or sheer habit (Dylan fans seem to cheer the first line of anything). The version is actually pretty faithful to the album version, without the skatting female singer. By 2000 it’s not good, but it has lost some of its terribleness, or I’ve just become nostalgic for March of this year. 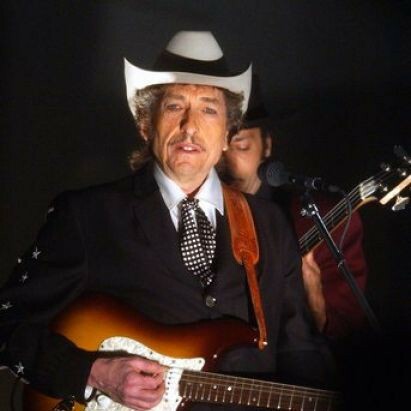 Dylan has performed “If Dogs Run Free” 104 times – 22 in 2000, and most recently in 2005. It’s still not something that I would look forward to, though. Dylan hasn’t played every song he ever wrote live (not even close), and he hasn’t even played all of his early material (from Freewheelin’ he has never played “Down the Highway”), but his excavation of older material is really fascinating. Thirty years after recording one of the worst things he ever did, he suddenly feels the urge to start playing it live, and it becomes a regular piece of his set for most of the rest of the year. I wonder what set him off? Here’s the album version, which I didn’t link to earlier. Enjoy! Dammit, beaty, we come here for answers, not questions. You’re the expert analyst–let’s hear some informed speculation. Could it be the band wanted the set to include some of that generic-to-the-point-of-parody jazz? I can imagine a keyboard player longing for the chance to tinkle-noodle that intro, in any case. Dammit, beaty #2: Now I want him to do “Down the Highway.” He should have already done “Down the Highway.” Why hasn’t he done “Down the Highway”? Inquiring minds want to know.